This is what I wore yesterday on my cousin's 11th birthday. I haven't work out for a week now, and I've been cheating meals for almost five days straight of buffet and dinner parties. So I needed a dress to hide my chubby tummy(first time ever!) Yes, I gained weight..woohoo! This cat face dress is perfect for tonight's pig-out dinner because of its slightly loose waist and skater skirt. By the way, sported it with a kitty loafers too! I am so loving the cat trend so much. 5 straight buffet dinners - count me in. How do you stay so skinny though? Cute top. Love the cat. Just started following your blog! 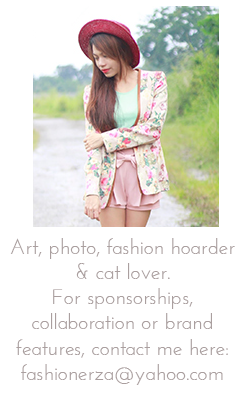 Find me at Talita Taiti's Blog!